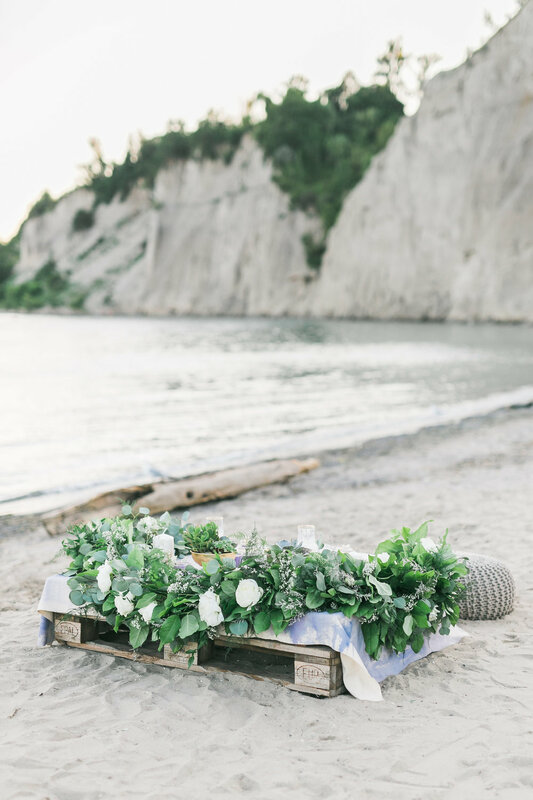 A table for two on the beach was created with a reclaimed wooden table embellished with a fresh floral garland composed by BLUUM BLVD. This delightful ensemble of roses, peonies and blooms graced the watercolor table canvas tailored by Painterly Posies. A collection of fresh terrariums garnered with succulents and crystals were curated by Atlas Trove and further engaged in the Bohemian style of the celebration. Accompanying this little oasis would be the natural mala bead necklace by Cat Janiga that made way as a sweet little keepsake for the bride. Jacq Baked Good’s macaron desserts presented atop a couple heirloom plates were a sweet treat for the couple. Hints of aroma were detected by the lavender bundles harvested by the local growers, Christel Lake Lavender. Accompanying were artisan candles infused with lavender essential oil and gold leaf handmade by Live and Lather. A little surprise awaited Lisa upon her arrival to the site. A fluttering couple of butterflies greeted the bride-to-be with a colorful welcome. The butterflies - reared by Butterflies and Roses - represent a special artistry in our city that helps cultivate the endangered monarch butterflies and are offered to special events. 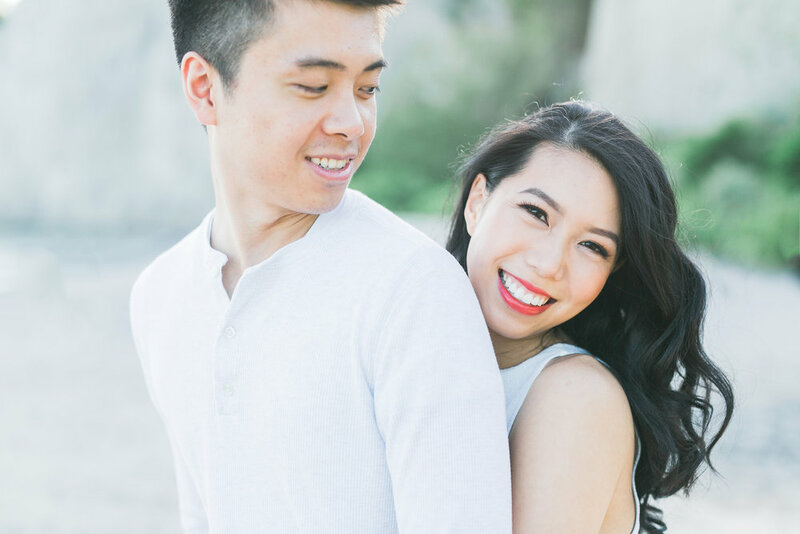 The beautiful occasion made its mark with an elegant proposal exhibited by a handwritten card. Designed and produced by Ava Designs, the gold lettering piece stayed true to the couple’s love for handwritten notes. The beautiful evening marked a new celebration ahead with the release of the butterflies. An ode to the couple who are now en route to embark on a great journey together.